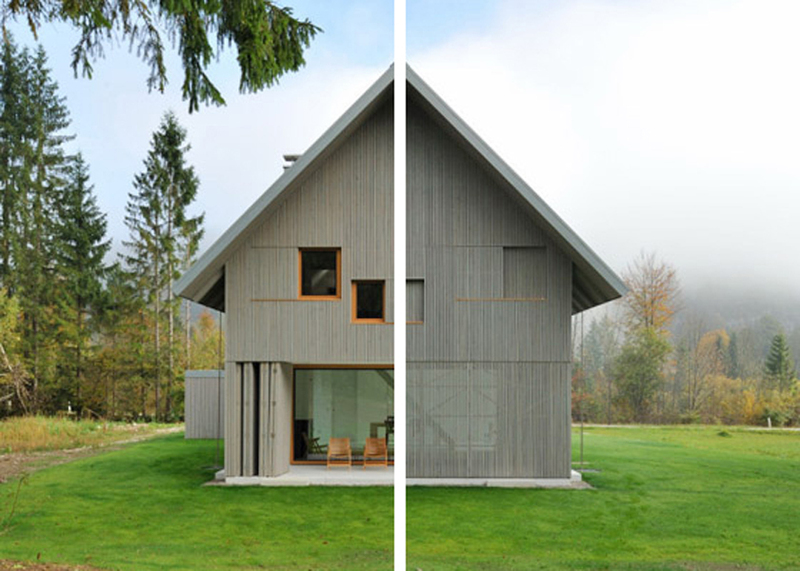 This house by Perovic is a paradigm of the use of filters as a formal element to configure the entire epidermis of the building. 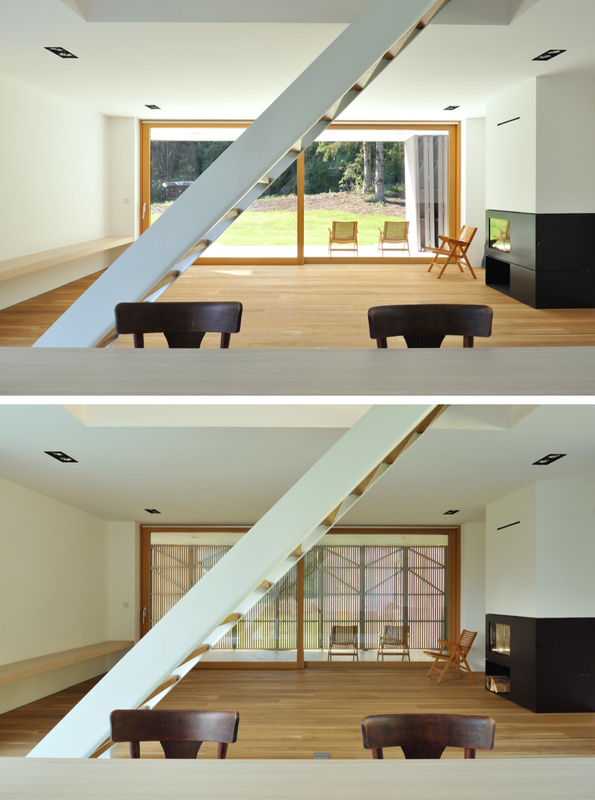 Sliding or folding-sliding elements wrap the intermediate spaces or protect the openings. These elements are panels with vertical wooden slats, parallel and close among them. The rest of the outer skin of the building is solved with the same element, this time over an opaque inner layer. 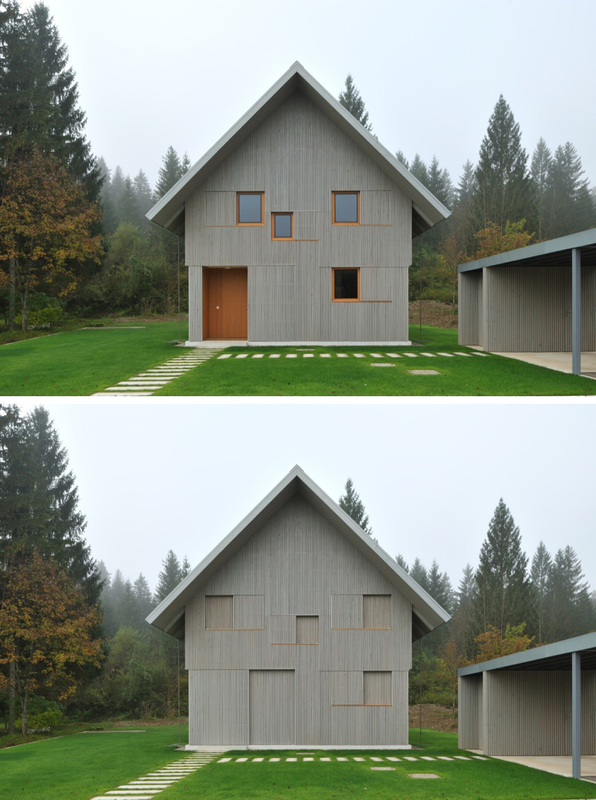 The simplicity of the solution and its image explains the dissemination of the building. The images are paired. 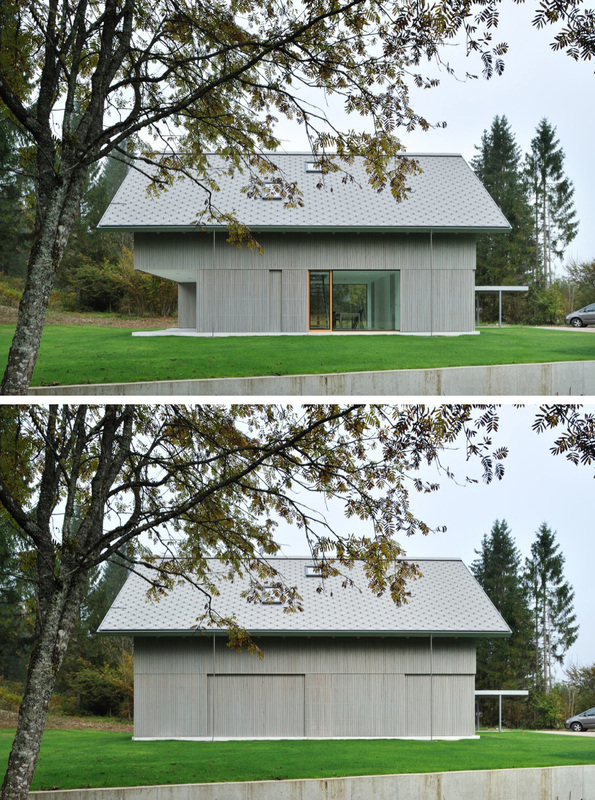 In some cases they show the outside of the house, with open or collected filters. 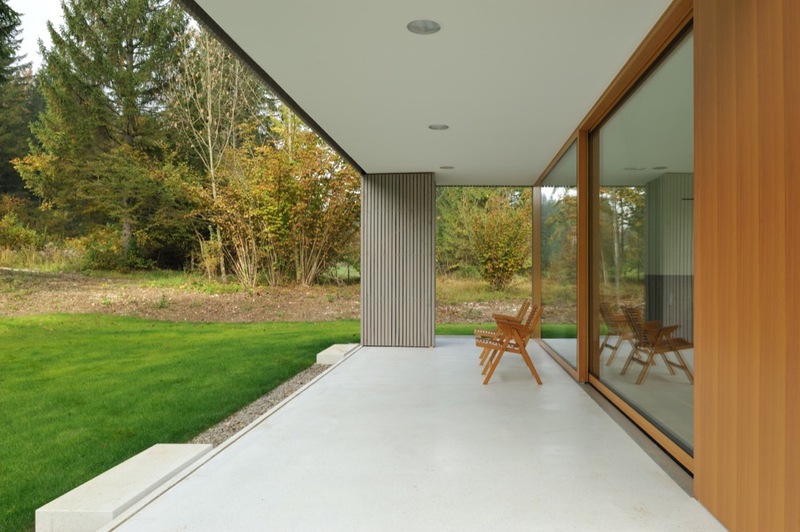 Other images, from the inside, show transparency to the landscape views, or the effect produced by the closure of the terrace incorporating it to the living room.